In the midst of its most significant building project since Jefferson, it became clear that the growing University needed a new administrative structure. Rather than focus power on one person, Jefferson had distributed the responsibilities of leading the University to the Board of Visitors and a chairman chosen from the faculty. By the 1890s, it was clear that this system was inefficient if the University of Virginia was going to lead the South’s public universities into the 20th century. 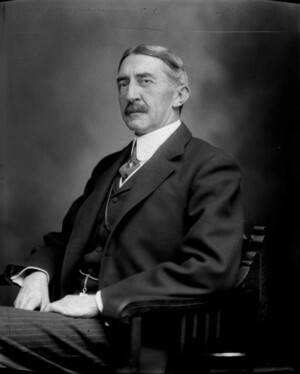 In 1904, the Board of Visitors finally elected the first president of the University: North Carolina native and former president of both the University of North Carolina and Tulane University, Edwin Anderson Alderman.